Waiting for the perfect frame for your barn style home? Remember This Beauty of an Old Barn I Wrote About Awhile Back? Ira, Vermont – Antique Timber Frames for Sale! Well this barn’s still for sale! The Ira, Vermont farmer continues to hope that someone will save his 1770s gunstock frame. The original barn is a 32’x40’ hand hewn, modified gunstock timber frame with hardwood timbers and gorgeous wide plank siding and roof boards. In the 19th century, two timber frame additions were added to this historic property, making it much larger today – 32’x87′. The slate roof is still in great condition and adds incredible value to the frame. 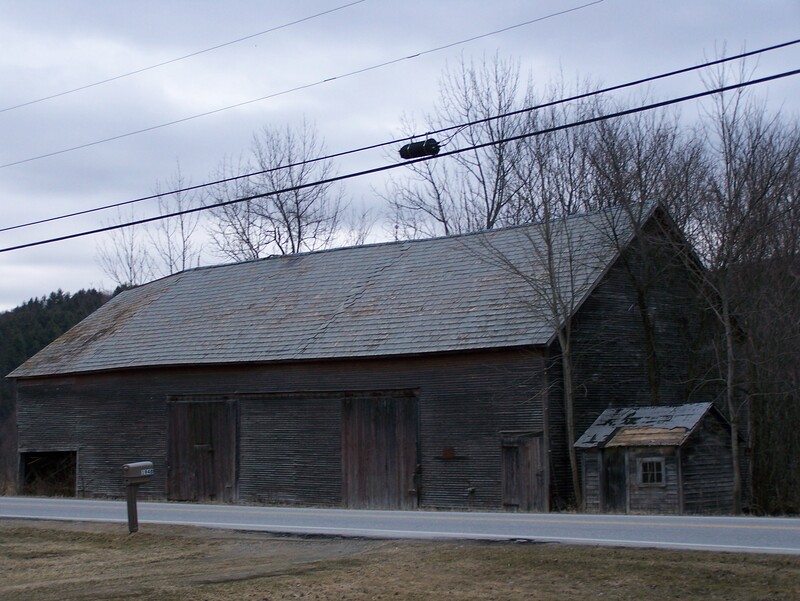 I’ve driven by this old frame for years and it is one of my favorite historic properties in Vermont. 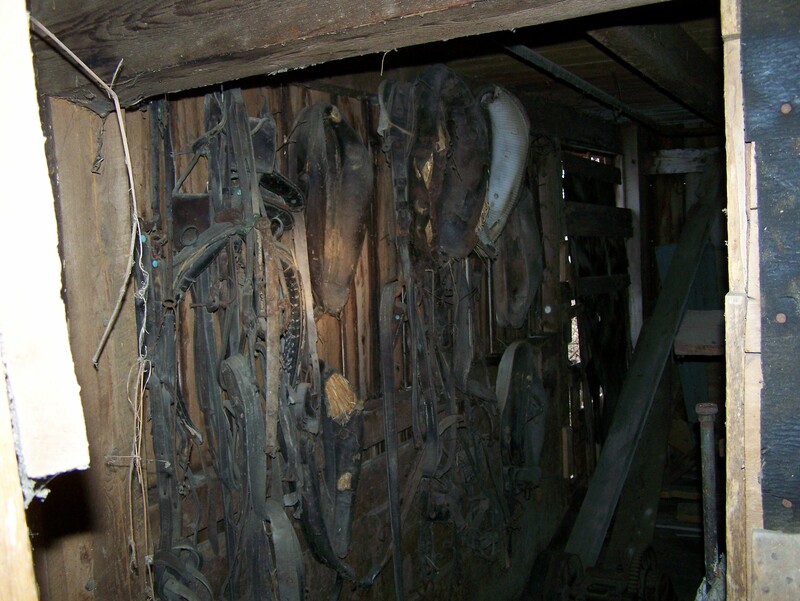 Apart from the beauty of the old post and beam barn itself, the barn is full of original horse powered equipment tools that will be included with the sale of the barn. We’re eager to help save this historic gem. 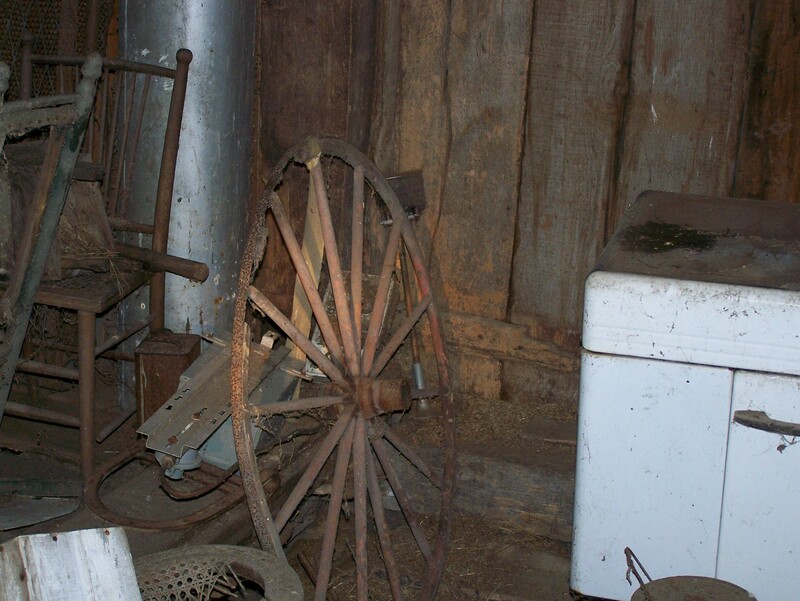 The farmer is offering the barn and all the contents at a very fair price for anyone interested. Did we mention there’s a corn crib? 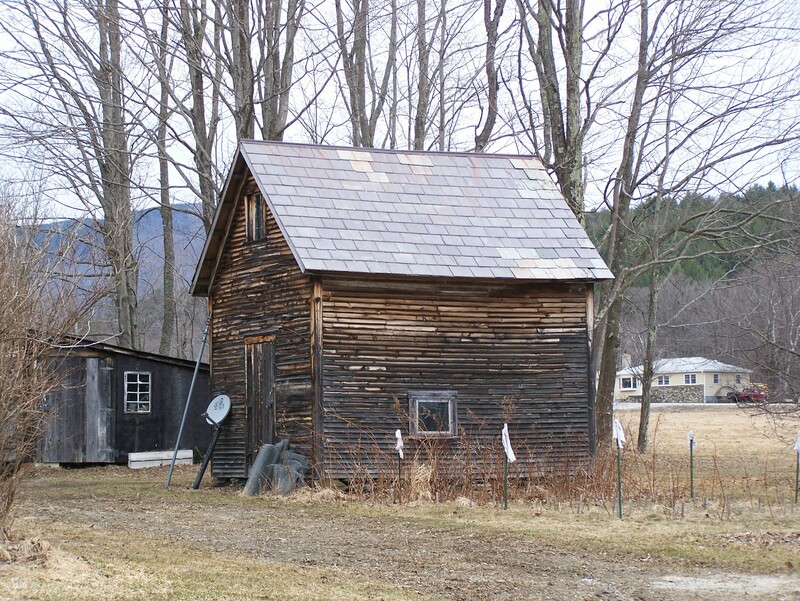 There is a smaller timber frame – a classic Vermont corn crib – right out back on the same property in Ira, Vermont. This addition could be an entryway, guest house or office in your barn style home. Someone has expressed interest in it, but it may still be available. Help us save these barns! Please pass the word along. If you would like to visit these barns – or learn more about historic post and beam homes – please contact me. I began timber framing because I respect this time honored craft. I’m trying to help the owner find someone to love this old timber frame and all of the history it holds. This entry was posted in Frames in stock, Green Mountain Timber Frames, Post and Beam and tagged available barn frames, barn for sale, barn homes, barn restoration, barn style homes, colonial america, custom barn home, Green Mountain Timber Frames, gunstock timber frame, historic New England, historic properties, New England history, post and beam homes, saving old barns, timber frames Vermont, Vermont timber frame, vermont timber frames, vermont timberframe, vermont timberframes by Green Mountain Timber Frames. Bookmark the permalink.